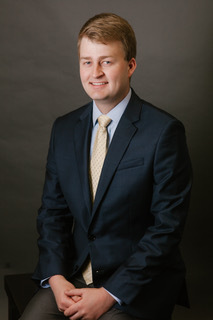 Daniel joined Heinekamp Financial Planning and Tax Service full time after graduating with honors from Purdue University. A Purdue Presidential Scholar, Daniel obtained a four (4) year bachelor’s degree in Financial Counseling and Planning in just seven (7) semesters, one of which was spent at the prestigious Vienna University of Economics and Business in Vienna, Austria. Daniel was named Purdue’s Outstanding Senior in Financial Counseling & Planning among other academic scholarships and achievements. Daniel is excited to be back in Brownsburg. As a 2012 Brownsburg Community High School graduate himself, he cherishes the community he grew up in. While at Brownsburg, Daniel served as president of his class for four (4) years along with many other leadership roles in school organizations. He also was a highly successful member of the men’s tennis team earning conference, district and state accolades. Daniel notes the most influential part of his time at Brownsburg High School was his time in the DECA business/marketing club where his success in the finance, marketing and business competitions allowed him to compete at local, state and national competitions for three (3) years, jumpstarting his interest in finance. Daniel was able to identify financial planning as a career goal early in life, allowing him to enter the financial services field at the age of eighteen(18), passing the examinations necessary to become a licensed principal of SCH Enterprises, Inc., a FINRA member broker/dealer. As such, he became one of the youngest firm principals in the nation. Daniel has obtained various FINRA qualifications including the Series 6, 26, 63, and 65 licenses. He is credentialed as a registered investment advisor, and as a securities representative for mutual funds. During 2017, Daniel was awarded the CFP® designation by the Certified Financial Planner Board of Standards. Daniel joined Heinekamp Financial Planning & Tax Service on a full-time basis at the beginning of 2016 while also continuing in his role as a firm principal for SCH Enterprises. He enjoys playing tennis and other recreational sports locally, and traveling to places he’s never been. He currently resides in Speedway with his wife Laura, and their little dog Obi.